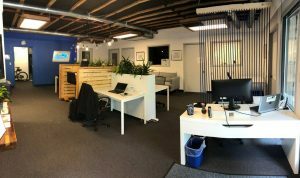 If you’re looking for Fort Collins coworking space, look no further than the office space for rent at Digital Workshop Center! 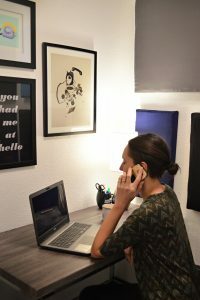 Not only are we a full-fledged independent provider of higher education and certificate credential programs for technical and computer-based skills, but we also pride ourselves on being a community center to offer networking and coworking space to freelancers, creatives, and those working remotely. From now through Feb 2019, we’re offering 1 month free for new members of our coworking community when you sign up for 3 months. Click here to learn more and schedule a free tour! As a member of our Fort Collins coworking space, you’ll enjoy the benefits of 24/7 access to our shared office space, which includes options like fixed or flexible desks as well as private offices for rent. Our space has high-speed internet, free basic printing, free coffee and snacks, a private phone booth for calls, locker space, and conference rooms for meetings. Our Fort Collins coworking space also offers tenants free on-site parking – a rarity in Old Town Fort Collins! You and your clients are also invited to take Digital Workshop Center classes at a discount! We also offer student rates and offer month-to-month contracts so you never have to worry about any long-term commitments. Rental rates at our Fort Collins coworking space begin at just $59 per month for one-day-a-week access. We offer a variety of packages and desk options for all of your coworking needs, making it a perfect place for freelancers, creatives, remote workers, entrepreneurs, and small-business owners who are in need of flexible office space for rent in Fort Collins, Colorado. 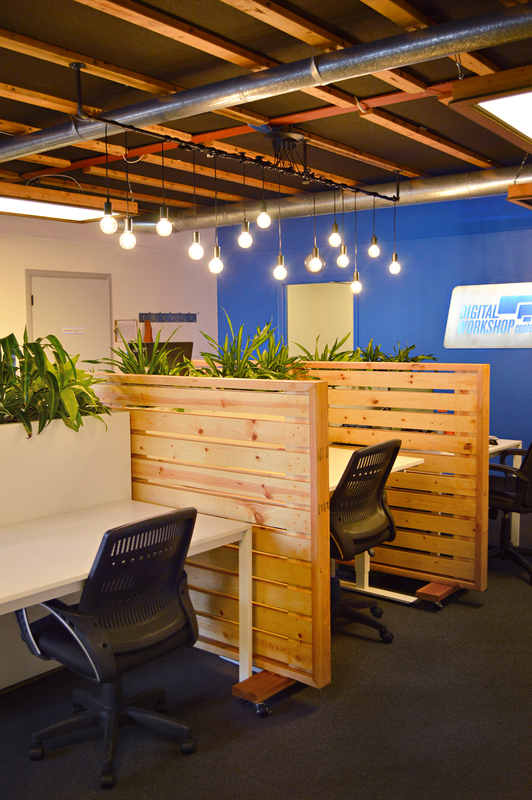 Ready to check out the coworking space at Digital Workshop Center?! Schedule a free tour and enjoy a 7-day free trial of our coworking space before you decide to commit! Contact us to learn more and begin working at our comfortable and flexible space now!